I run for the images I collect, for the wonders I encounter. I aim for landmarks, I wish for discoveries. I observe time flowing with the transformation of light. Running can take hours and even if I run my sprints back and forth, or around and around, I notice the changing skies. When I run, I zone out automatically. I am in touch with my body. I check on it frequently. I ‎study my heart rate, I gauge my breathing. I pay attention to the terrain, seeking softness whenever I encounter sand or a patch of grass. I fly up slopes and carefully descend hills. I glance at my surroundings, I fill my lungs with scenery. I listen to music, I react to voice, I accelerate to beat. I remind myself that I am moving in a horizontal dance that takes me further. I may hear the lyrics, but I never link them to anything or anyone, if not for a fleeting moment. My world is now abstract. I am in motion and I must keep moving. And all I want to talk about is running. How are you questions can result in a deluge of running talk! But writing about it is dosed with the modesty of knowing tha‎t I am not a runner per se, that I am merely an amateur runner. I only started 6 months ago and not seriously before my recorded 30 runs! ‎While I am running, I thought it unjustified to write about it, because there is so much left to feel, to experience, to see and learn and an essay would be superficially inexact.‎ Don't I want to write about running in NewYork or in SanDiago? Shouldn't I wait for the November race or the Dubai marathon? I am running in the progressive tense, training for an event that is merely a moving target for me to organise, learn and live my newly found passion. I may run slow and steady, my timings below those of natural born champions. But I run with verve. I burst out at dawn, or even before dawn in dozy darkness. I slip out of a sleeping house into empty streets and abandoned landscapes. At twilight, I collect my stocked up energy and run past sunsets and illuminated cities. I run wild, like a cage door has been set open and it is the only thing on my mind. I don't run to escape. I am always running towards the unknown. But where do my runs begin and end? Do I not keep a distinct memory of most of them? Do I not dream ahead of the future runs? Every single run is an event and I have not dreaded or disliked any of them, no matter how tedious or challenging. 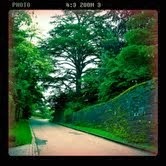 ‎Instead, I anticipate the next run, I push for the new speed, I imagine the next distance. Mehdi Farhadian: at the edge of Nature. Imagine strolling with an artist in his universe. Telling him how his world and colors affect you. At Lawrie Shabibi art gallery, I had that enjoyable experience with a startled Mehdi Farhadian. His art took me the edges of Nature. I can recognize Farhadian's palette from a distance. The infinite melange of blues, greens and pinks translate in the ephemeral light of dusk and dawn. His canvases are huge and his brush stroke expansive. I can imagine the physical effort in his work. Liquid blues to dive in, translucent waters against mineral rocks, or cascades with slippery footings and a bikini clad sun bather. Another canvas so cold, that the ice has turned into a frozen fluorescent blue. 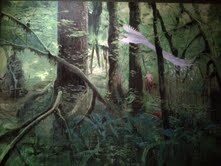 And there, a Douanier Rousseau canvas whose moss and foliage grow in the greenest forest of airless density. A pink phoenix and daphne escape in flight. On another canvas, a monstrous honey comb nest hangs above a still river and a fallen body, the texture of the honey visibly sticky. 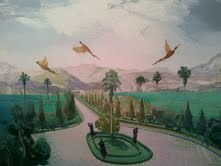 Many species of birds populate Farhadian's works: here some pelicans caught in a net, there eagles swarming over golden specs and in this canvas three pheasants attempt escape from Napoleonic shooters in landscape of lawns, Washingtonian palms and mountains. Lions are slain, or are still in statuesque form. Two canvases make exception. They are painted in black and white. A fire forest is left to gray ashes. He has deprived the fire of its burning bright colors so that we can hear the tragic roar of its destruction. 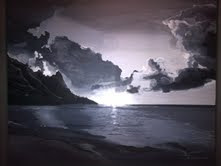 On the seascape, he has stripped the sunset's precious colors to leave us w a glittery silver baroque sky, with voluminous clouds and a reflective ocean. I expressed all this to him, and halted my speech with a single question: how have you learned the wonders of Nature? It just clicked. One day I wasn't a runner, the next day I became one. Just like that. It takes a push. And much trial and error. It takes bottled up energy and the desire to express it. I wanted to row indoors. My sister encouraged me to run outdoors instead. My son made me an awesome play list. I made a realistic decision to run 3k. Set up my ipod for the distance. I had to inform the world. Tweet my intention. I departed for a 3k. It sounded impossible. But it was twilight. I had example singing on a loop. BurjKhalifa as a target destination. I would try. Simply try to run. I had attempted running during the summer. I had followed my sister on Mediterranean trails and roads. I had managed hills and admired seascapes. But I ran with difficulty, I measured my pain, I stumbled on my breathing. Here I was reaching the 3k goal, running through it to 5k. Then the next day, attempting 5k again and running through it to 7k. 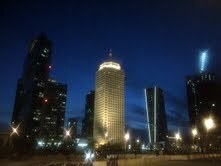 I was running through urban landscapes, past Dubai skylines, palms and metro lines. Architectural highs kept pushing me foreword. And then it happened. I considered 10k on a simple thought. 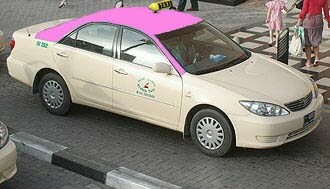 I leapt through Zabeel neighbourhood, the once reluctant cardio practitioner I had been. I didn't think of my breathing, it came naturally. I didn't want to stop. I wanted to run past palaces and gardens, flower beds and after peacocks. I ran through twilight in search of cityscapes and found an over-pass, on which I took a halt for a photo op! 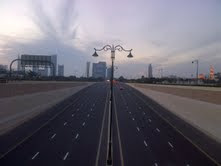 Empty, royal Zabeel stood still, if not for the few cars to the right with their cigarette-red lights. 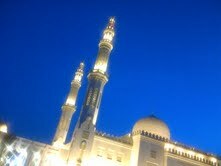 The roads leading me to the horizon, and to the periphery attracting me like a moth, the illuminated mosque. All under skies of twilight clouds. A delicate street light prepared to turn on. Flywheel, the indoor cycling activity built my cardio stamina and contributed to my steam. Trained for strength at Evolve and mentally stimulated by the Inner Fight philosophy provided me with the self confidence needed to run the distance. Music and the surrounding wonders gave me spring. I reached the finish line that Snow Patrol sings about, and I now feel, according to the tune, that this is where I would begin. Running.